WHAT IS RADONAWAY GP501 RADON MITIGATION FAN? How Does Radon mitigation fan Work? Here we bring to you RadonAway (23005 – 1) gp501 Radon mitigation fan (3” Inch ) Review, Which is user-friendly and greatest home radon ventilation fan – GP501 for better performance and increased versatility. 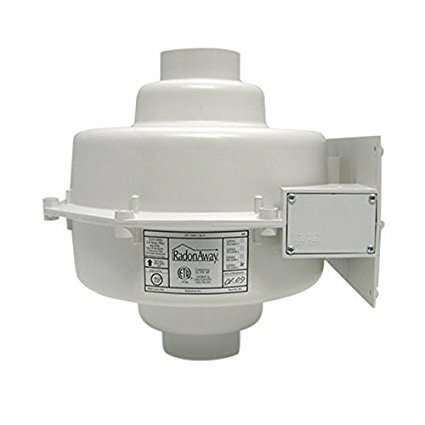 All the GP series radon ventilation fans offer you with the best performance options which make their products ideal for the majority of the mitigation systems. RadonAway GP501 is a radon mitigation fan. And it is a product that intends to be used by trained, professional and certified mitigators. GP501 is listed for residential use only. It is sort of an active soil depressurization system that helps in reducing the harmful radon gas. It focuses on drawing the pressure from moderate to tight soils when less air movement is compulsory. The Radonaway (23005 – 1) GP501 Mitigation Fan is mounted directly on the system piping. This can be done either indoors or outdoors. For choosing the fan location, it is suggested to follow the EPA recommendations only. The GP501 Mitigation Fan may be mounted to a supporting structure by the means of an optional mounting bracket. And it is mounted vertically with the outlet facing upwards. RadonAway 23005-1 GP501 Radon Mitigation Fan, 3"
It performs around the year. 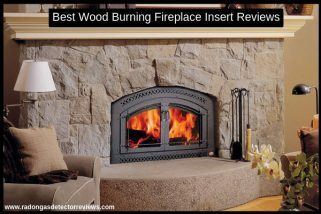 It is a listed product for residential usage. Has a 5-year hassle free (limited) manufacturer’s warranty. GP501 is an ideal choice when multiple suction points are required. The product operates on little to no noise to not disturb the occupants. This fan is fit for new constructions and retrofit systems. It’s also suitable for existing fan replacements. The majority of the people did not experience any issues with the product and has little to no complaints. What a few people noticed was that the fan is so quiet that even if someday it shuts down you would never come to know. So on the part of the customer, he/ she needs to keep a regular check on the fan to ensure that there isn’t any trouble. It was around 25 years back that RadonAway introduced its very first radon-specific fan. Since then, all their fans have been reliable, well accepted and effective. RadonAway values its commitment and hence provides with only high-quality fans, supplies and other such accessories backed up by rapid technical support.